So how much does a website cost per month? In the United States the monthly price to maintain a web site is around $10-$20 dollars a month for the domain registration and cheap web hosting. The bigger expense is the amount of time it takes to build, manage and market a successful web site. Below I provide some helpful information to discover the true website price to have an online presence. Other considerations – plugins, themes, backups, 3rd party fees such as analytics, marketing automation, bulk email providers, multimedia content, social media posting and of course marketing. Numerous less obvious fees and unexpected fixes may be required. The website monthly fees take more into consideration more than just the yearly domain toll and the web hosting. The amount of money it takes to make a web site will greatly vary depending upon your needs. A small custom design 5-10 informational web site should be around $800-$3000. E-commerce and custom programming will be much higher and requires a developer. It’s important to have quality graphics so it may be required to hire a graphic designer if the web designer doesn’t have the required skills. A basic website built on Wix (https://www.wix.com/), Weebly (https://www.weebly.com/) or Squarespace (https://www.squarespace.com/) can be done for cheaper and you can do it yourself if you have the patience and time to learn. WYSIWYG editors within website builders make it easy to design and develop and you don’t need the technical knowledge of HTML, CSS style sheets or expensive HTML editors such as Dreamweaver. This cuts down on the amount you will be spending on maintenance as you don’t have to hire a professional. Websites need to look good on a range of devices, including desktops, laptop computers, tablets, smart phones and smart TVs. This drives up the labor production cost and testing time. Monthly ongoing maintenance disbursal fees should take into consideration more than the domain registration, hosting, and site build. 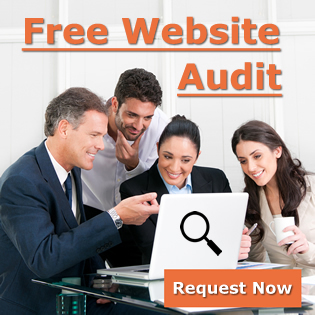 The true fees and capital expenditure are the maintenance, marketing and and search engine optimization. A small business can expect to pay $500 – $5000 monthly in management and maintenance fees. Monthly website fees will depend upon your competition and how much value you place upon marketing. Ecommerce sites can expect even higher monthly charge and may have 3rd party shopping cart fees. Marketing and production costs can quickly overrun profit and can quickly overrun the monetary value of the business. There are no monthly fees as long as you pick an open source CMS (content management system) such a WordPress websites and free WordPress themes. The fees are for the developer to build and manage the site. Make sure you’re hiring a seasoned developer you can trust and has prior experience with the CMS. The amount you pay when you create a website will vary depending upon the graphics desired, amount of content, number of web pages, photos, platform chosen (CMS), and additional coding features such as contact forms. You can contact us to learn about our pricing and services. The fees of a domain name will vary depending upon the extension, registrar and whois privacy options. The average price range is between $8 – $30 for your custom domain name. It’s important to remember to renew your domain name each year. Failure to renew may lead to more handling charge and it’s possible to actually loose the domain name. URL’s prefixed with https:// means the web site has a SSL certificate installed on the web server and any information passed between your computer browser and web site server that data is encrypted. I recommend a SSL certificate and the unit costs are around $10 -$350 per year depending on the encryption level, services desired, warranty and vendor chosen. SSL certificates have become the new norm and are absolutely essential if your site collects any sensitive information or payments. The type of web host required will vary greatly upon the type of website, amount of traffic and size of the website. Cheap hosting is around $10 dollars a month and you will be on a shared servers with other websites. A dedicated hosting server for you own website charge around $30 / month. Fully managed website hosting is also available in which a dedicated team will monitor and make any needed adjustments to the server. This can run from $500 and up. The web hosting company may charge if you have excessive bandwidth and traffic. This is rare and only an issue if your site goes viral. The web host may offer ad-on’s and are typically not needed for most personal, corporate or organization websites.